The other day I made the most disgusting scones ever. They were so bad that I nearly threw them away... but in the end I smothered them with jam and cream and gave them away. I was chatting with a friend about my disaster scones and she mentioned that there was a local café that always had the most delicious scones, so she decided to ask the owners what scone recipe they used. They smugly told her that they used bought scone mix. I made a mental note right then and there that I was going to buy some scone mix when I did the groceries this week. 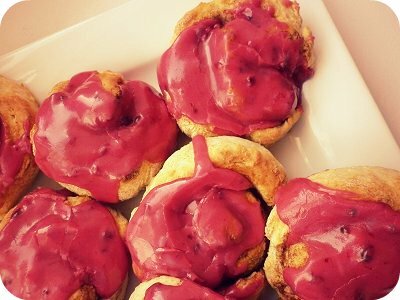 And here we are on my grocery shopping day - home with my 'scone mix' boysenberry pinwheel scones... and they are delicious! I dare you to try scone mix if you haven't already... I'm in love. 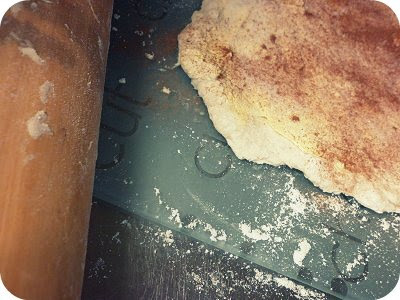 Make up your scone mix (or properly made scone dough from scratch if you are a really clever person) and roll it out onto a floured board with a rolling pin. 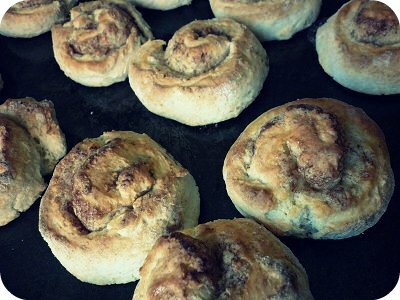 You can get really creative here and make either sweet or savoury pinwheel scones. I spread butter over my dough and then sprinkled sugar and cinnamon on top, but you could add sultanas, chocolate chips, jam... get creative! If you decided to do savoury pinwheels you could add grated cheese, herbs, chopped ham or bacon etc. 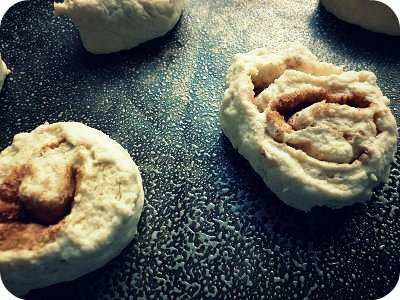 Roll your tasty sheet of scone dough into a long roll, then cut into small circles with a knife and place on a greased tray. Pop them into a preheated oven (220°C) and bake for 10-15 minutes. 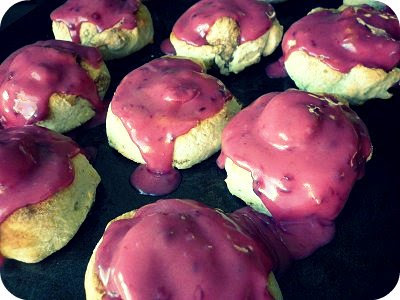 Once out of the oven, I iced them with boysenberry icing (icing sugar, a dash of hot water and a tablespoon or two of boysenberry jam mixed together) and let it melt and drool (I like that word) over the scones while they were still on the hot tray. I then quickly made myself a cup of tea and sneaked into my bedroom to sample them before the kids arrived home from school (and gobbled them all up). Mmmmmm - yay for scone mix!! These look amazing! You are amazing! well scone mix is on the shopping list for the hungry monkeys I have home during this weekend, Thanks PJ! I have never tried scone mix, now I am going to have to buy a box next time I go grocery shopping. Ok I am going to haul myself out of this bed, switch off the Saturday morning tellie and make gluten free pinwheel scones with the girlies. Cinnamon sugar and all. YUMMY! oh now I am DROOLING! mmmm....delish!! 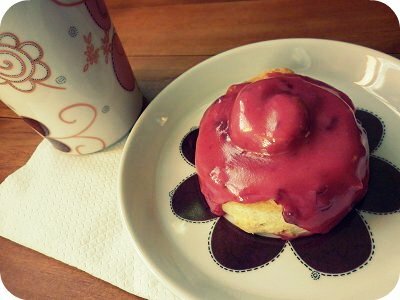 and that boysenberry icing looks sooo gooey good! Yummy looking scones Paisley,I find when making scones keep the mixture quite moist, cheese ones are my favourite, pink icing wow!! Ohh yummy!!! Thanks for sharing your secret :) I love simple recipes!! 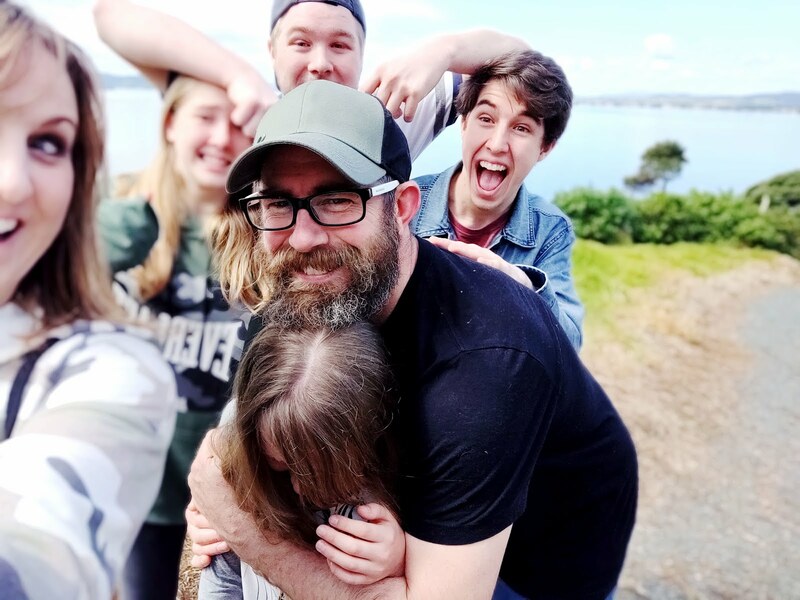 They are always the BEST! hey there! nice to 'meet' you ...yummy scones doll...we eat lots of 'em here...in all shapes and sizes, and if the girls get picky about 'freshness' the boys soon sort it our for them - excellent! Thanks for the comment on my blog....although I've changed the background again! !....must stop now. 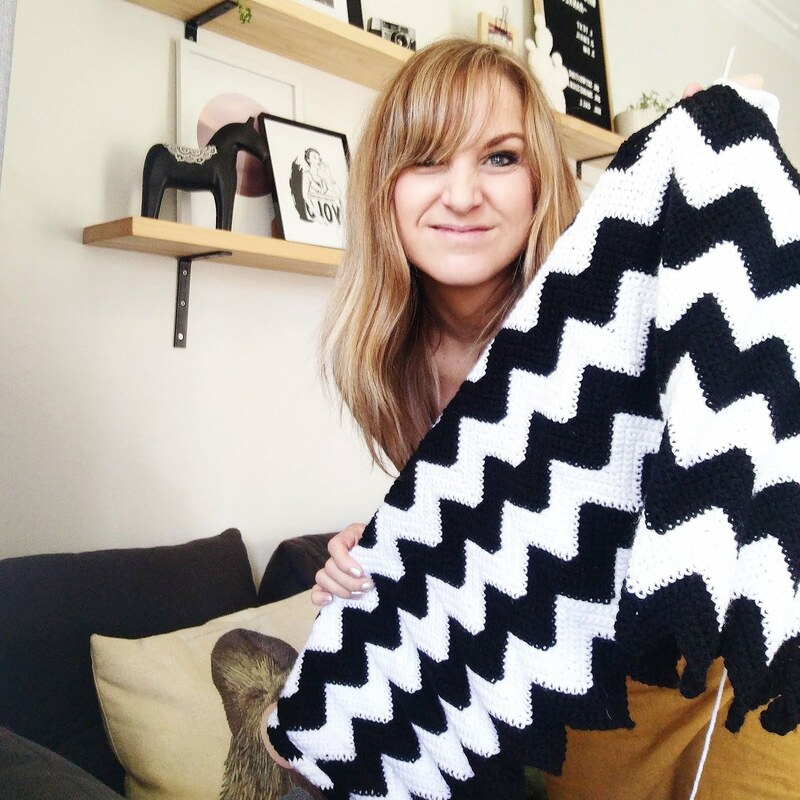 I'm rather excited by your blog....loads to look at, great links and recipes too! I meant to say that I thought your icing was genius - sounds so simple and easy, yet SO yum!